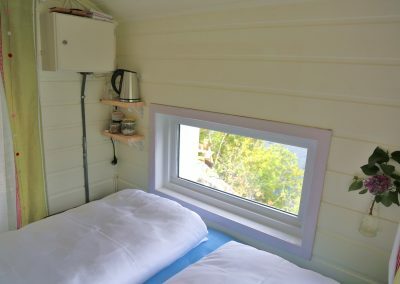 Special Room: Radioshed Mini-Suite. 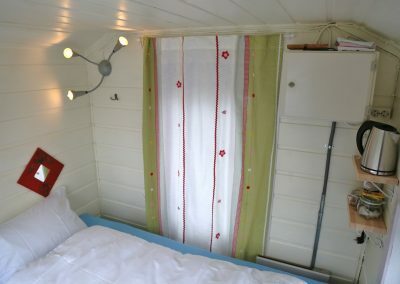 4sqm, for 2 persons in doublebed. 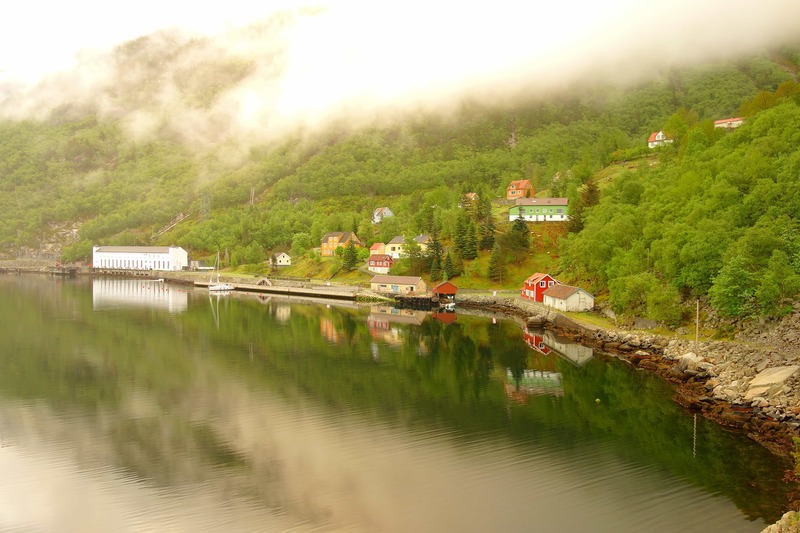 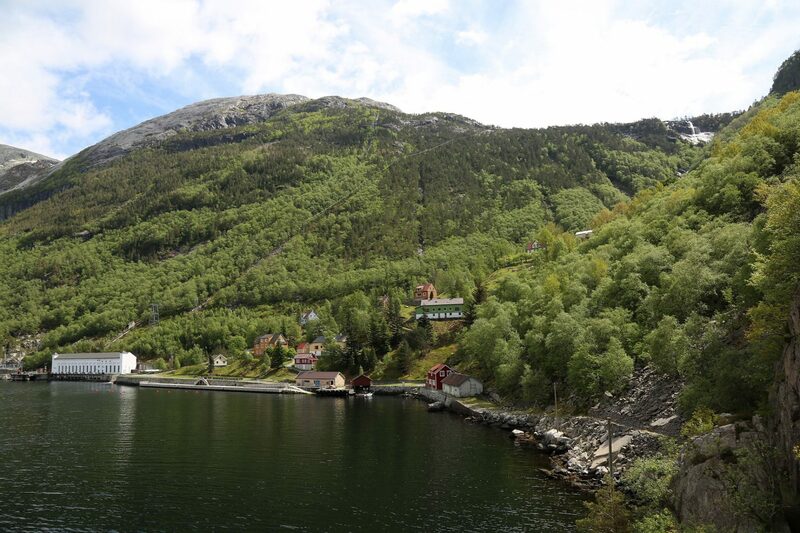 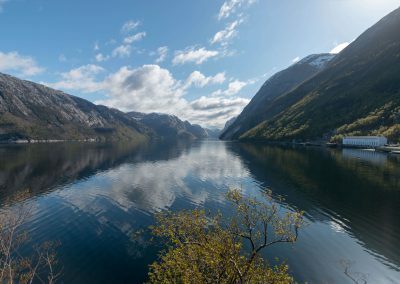 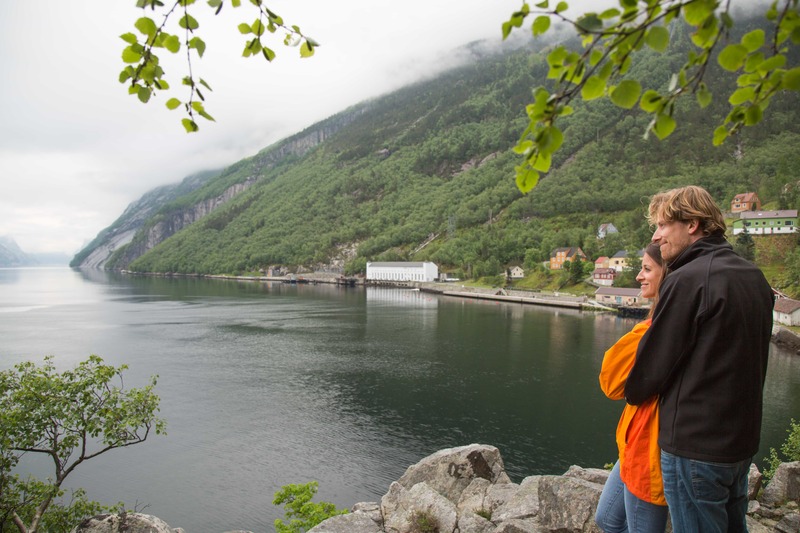 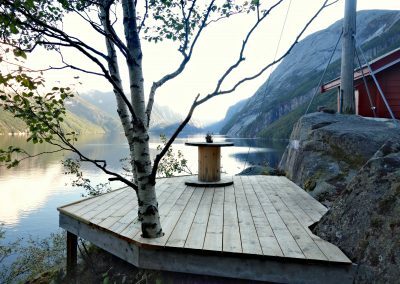 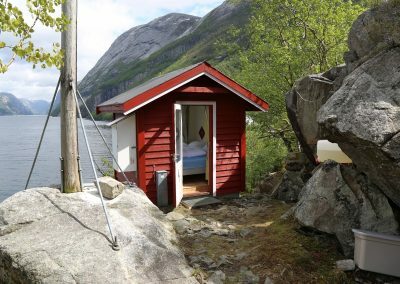 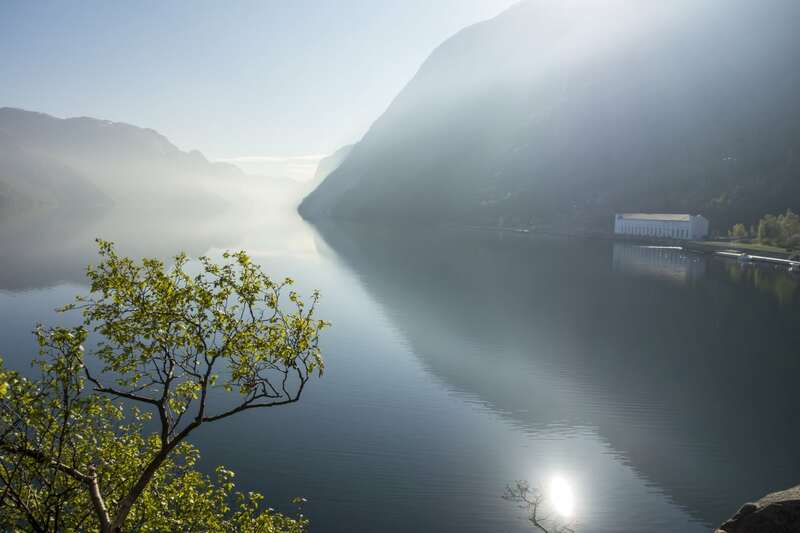 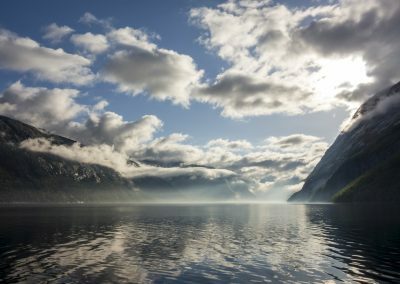 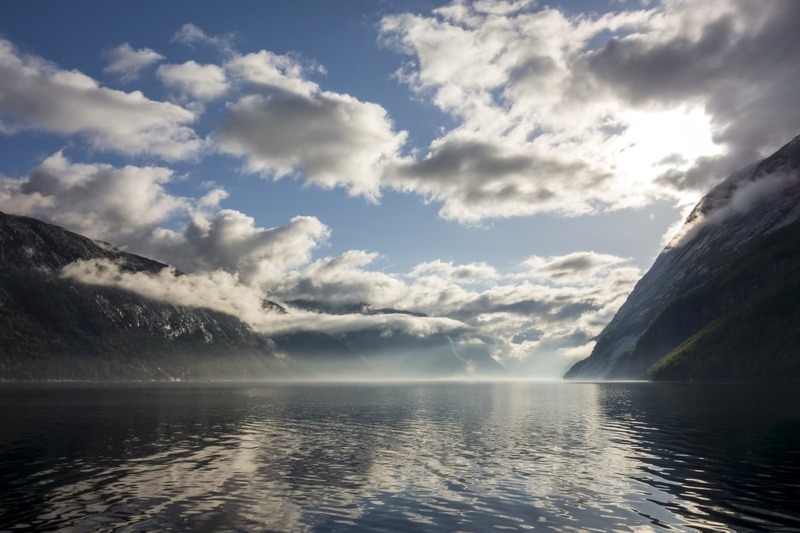 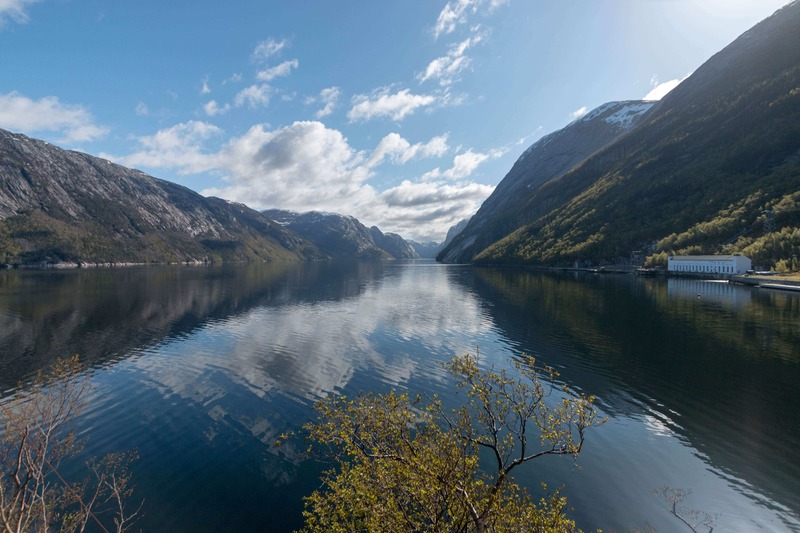 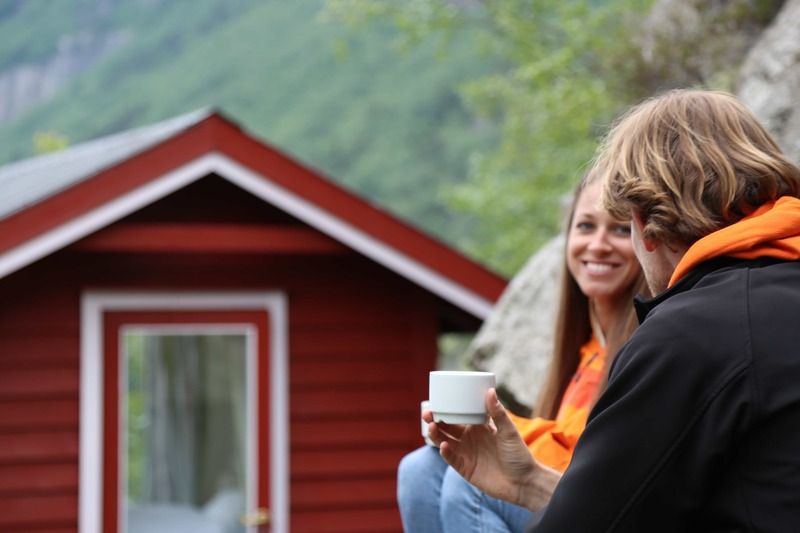 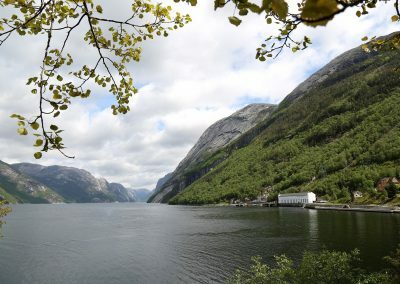 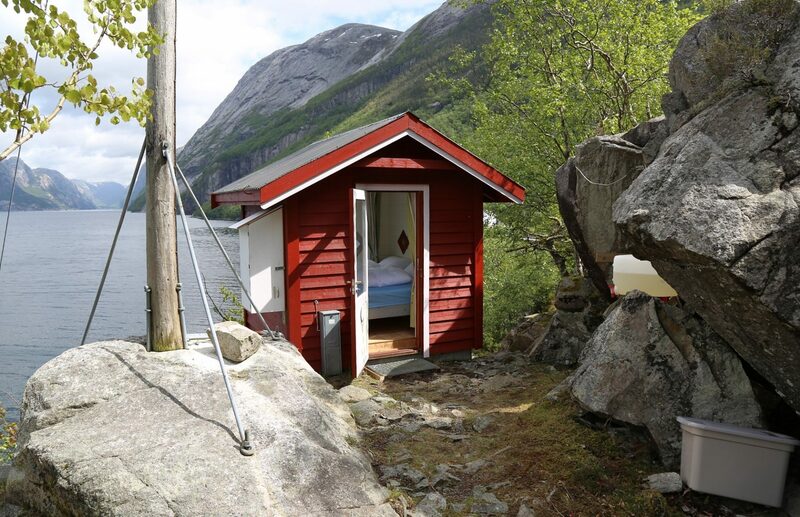 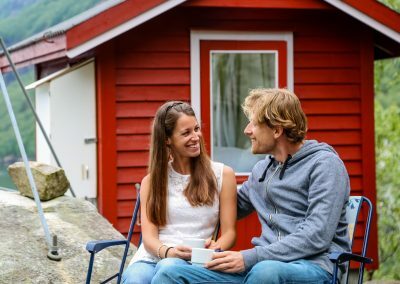 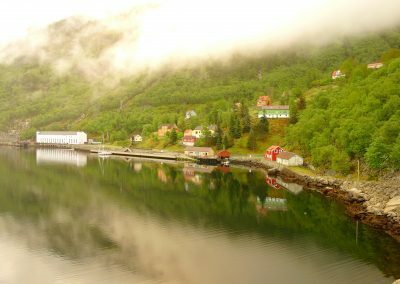 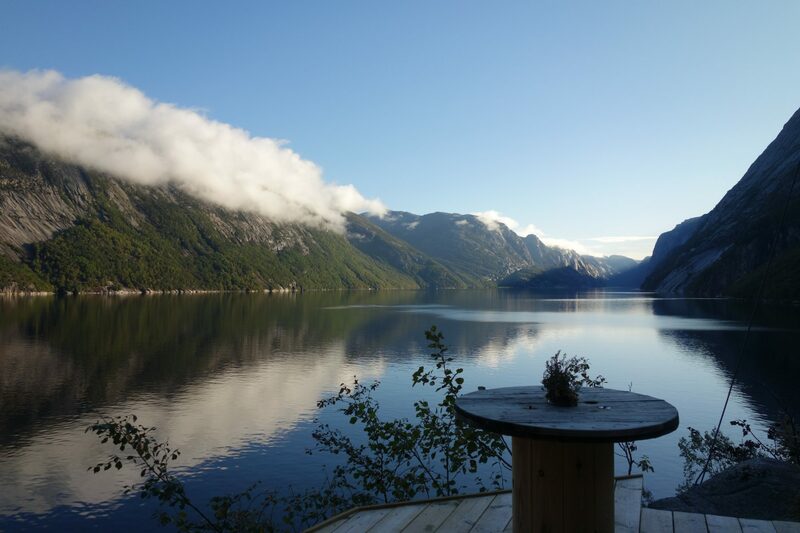 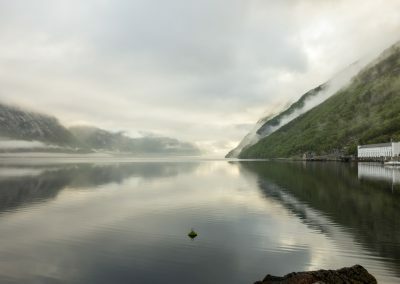 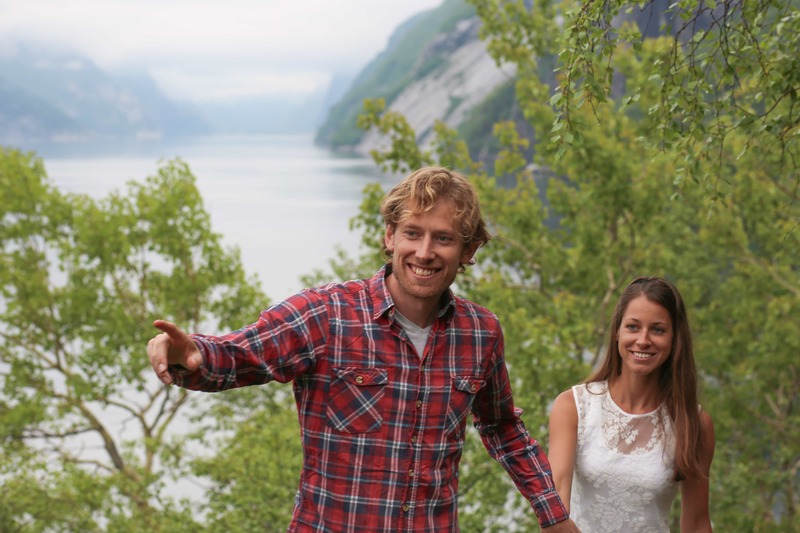 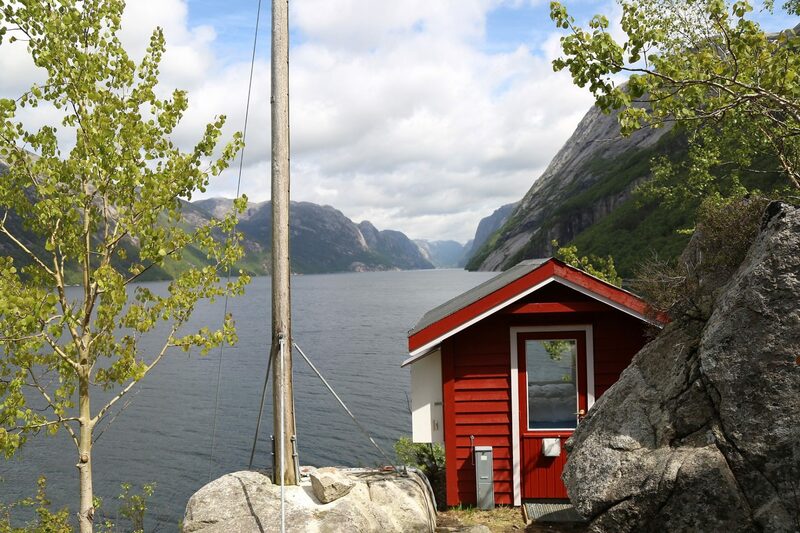 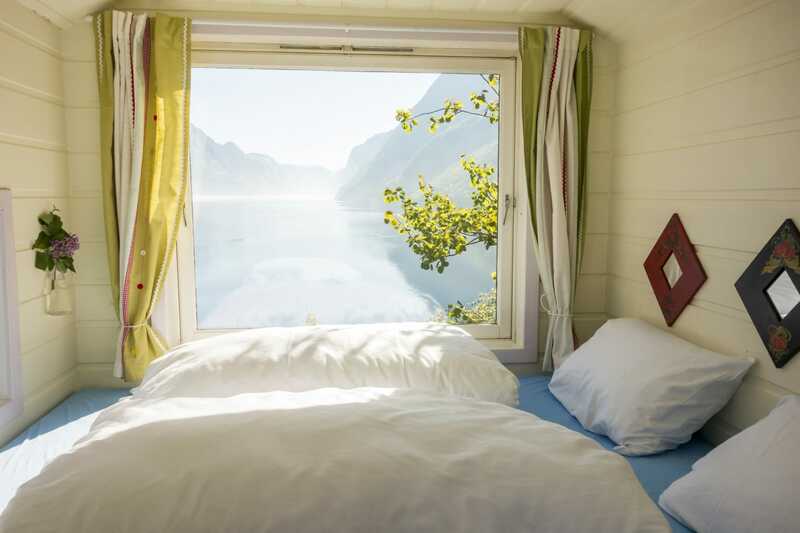 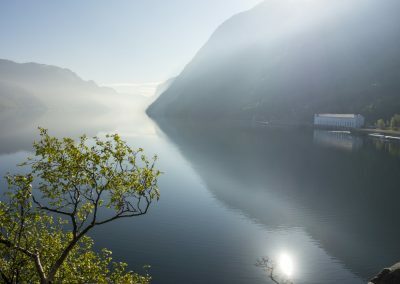 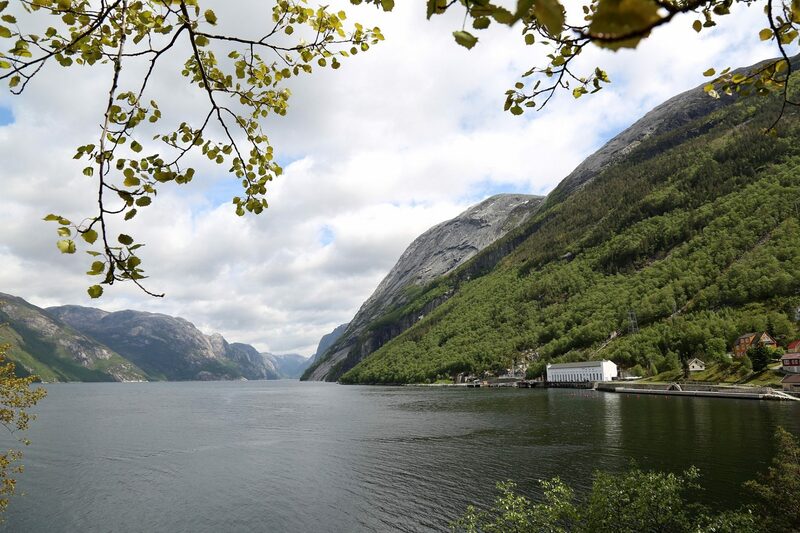 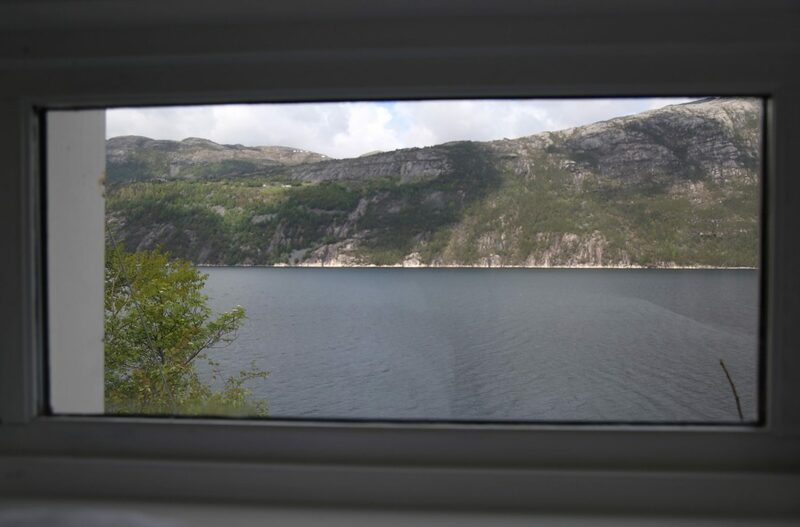 Enjoy a tiny stay with jawdropping fjordview! 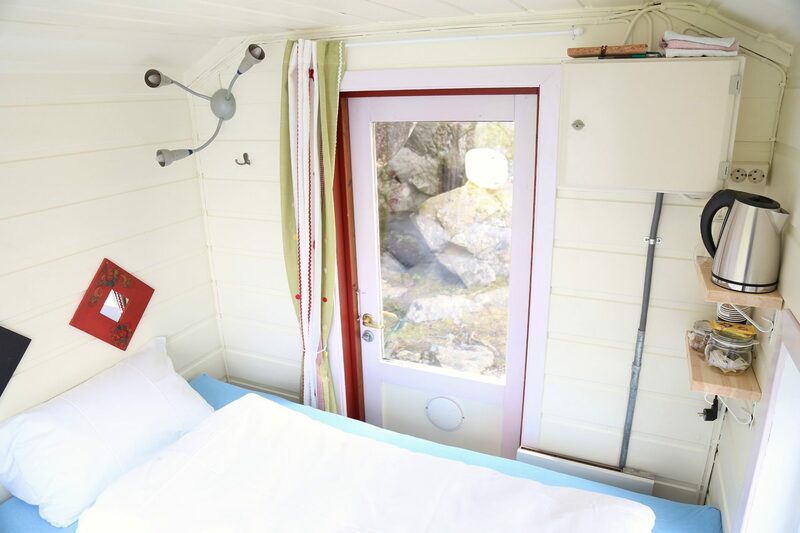 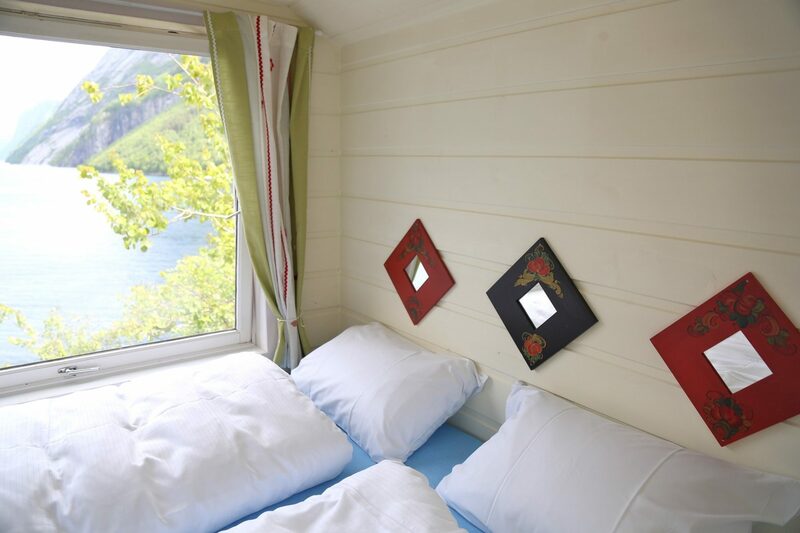 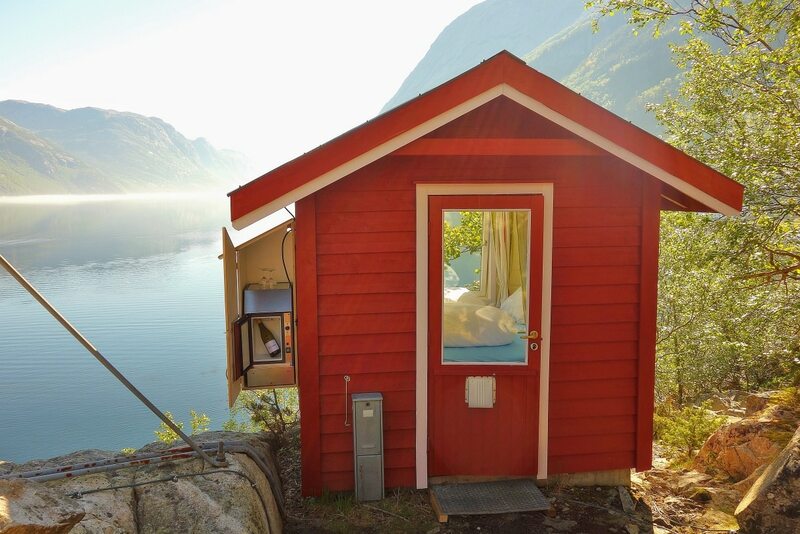 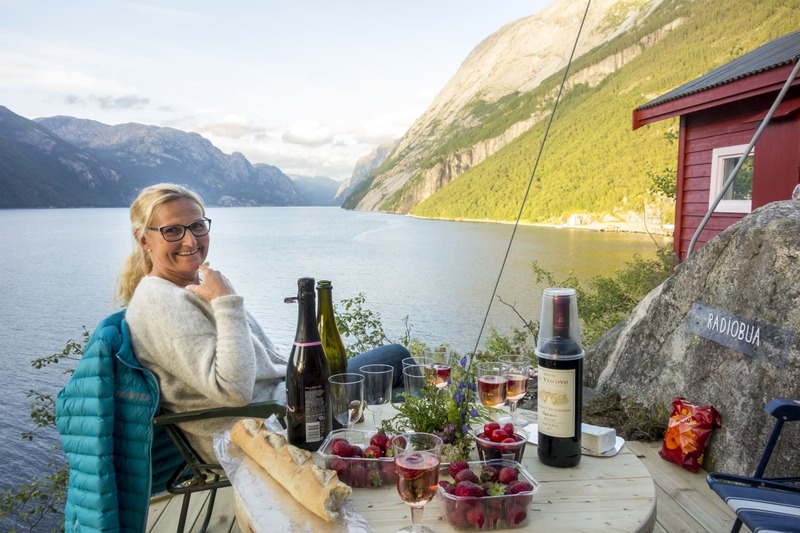 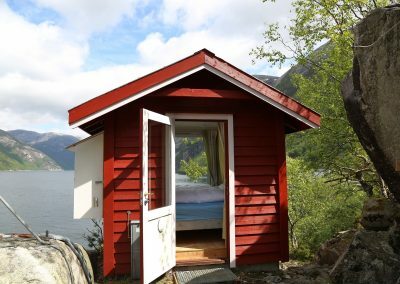 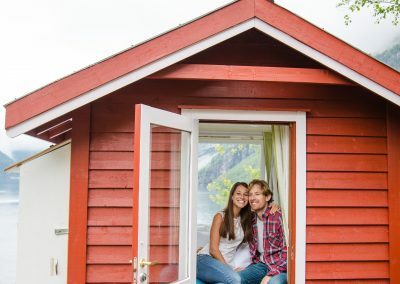 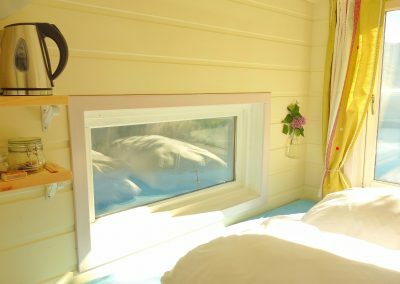 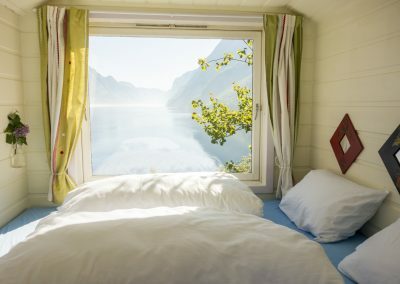 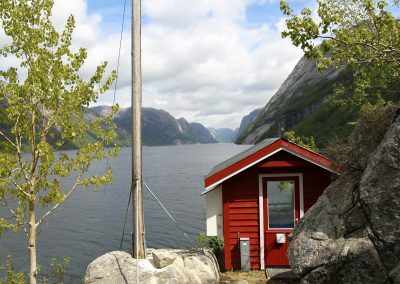 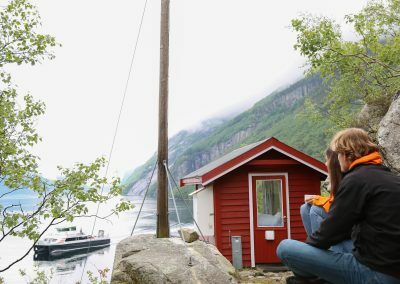 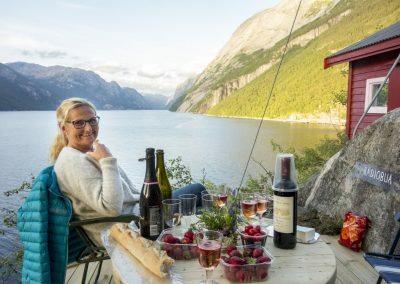 This glamping accommodation offers nothing but a bed in a tiny hut and this big panorama window to the fjord. 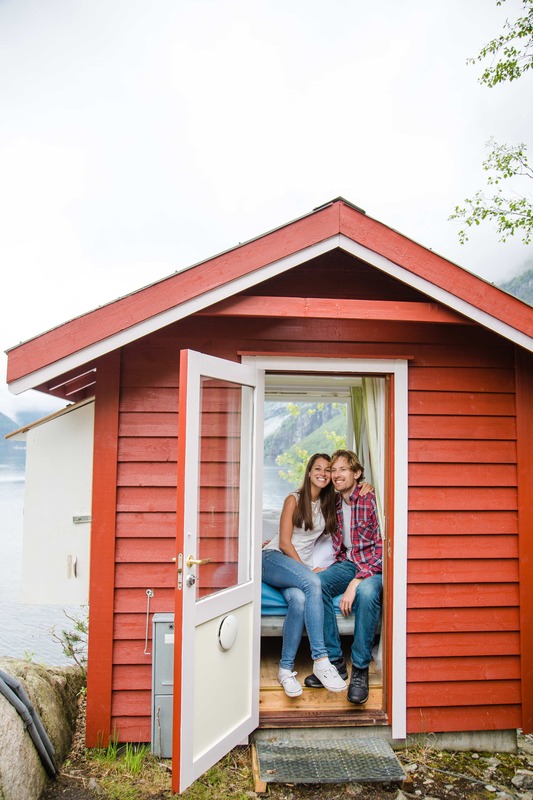 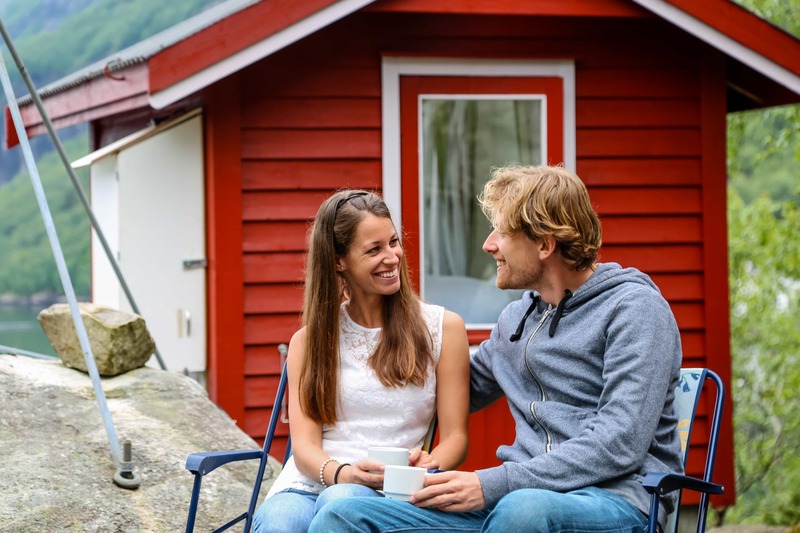 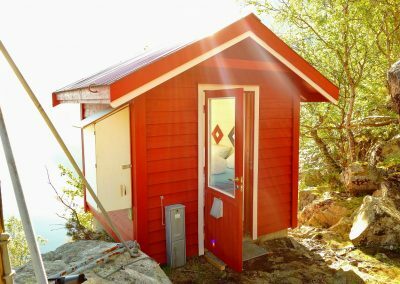 Surprise your loved one with a stay in Radioshed Mini-Suite and enjoy the wonders of romance in one of the world’s most beautiful places! 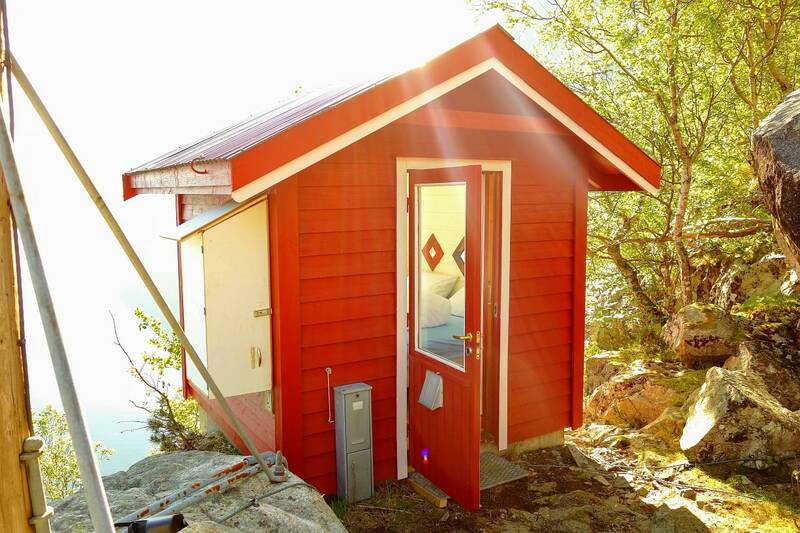 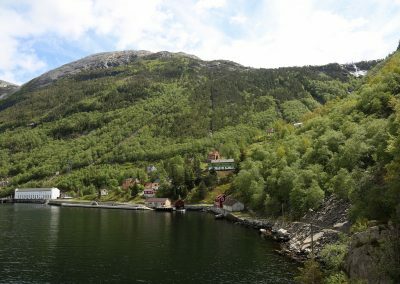 The suite is located on the point Flørlineset and was the relay station for radio and telecommunications. 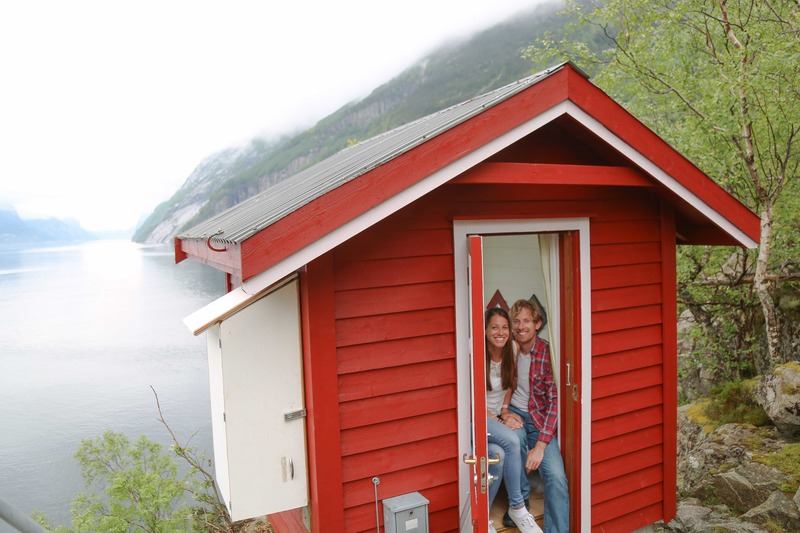 It is over two hundred metres away from the bathroom and toilet in the Schoolpub. 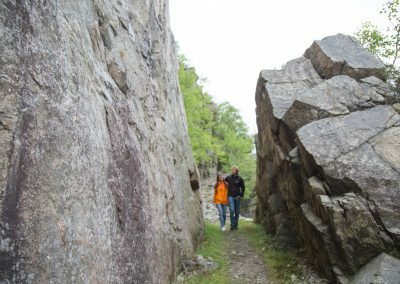 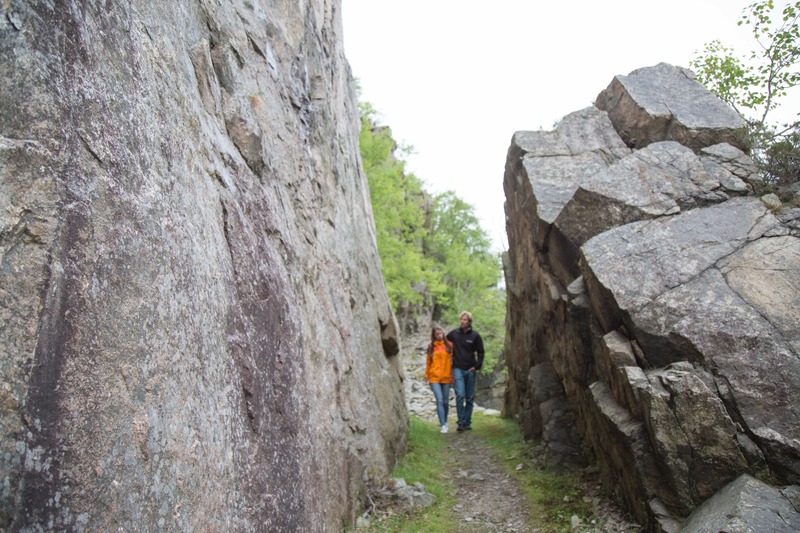 So if you need to wee, there’s the potty between two big boulders, or a stroll to civilisation. 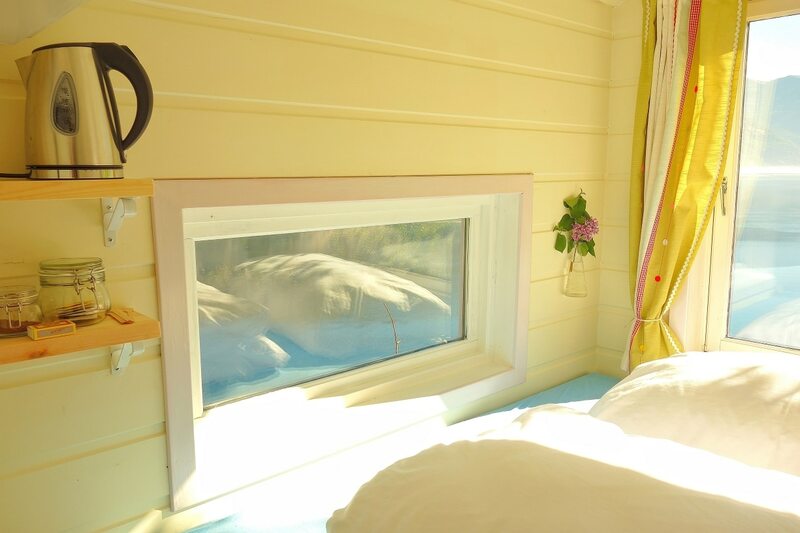 The suite is equipped with a watercooker, some tea and coffee – in romantic nostalgic atmosphere. 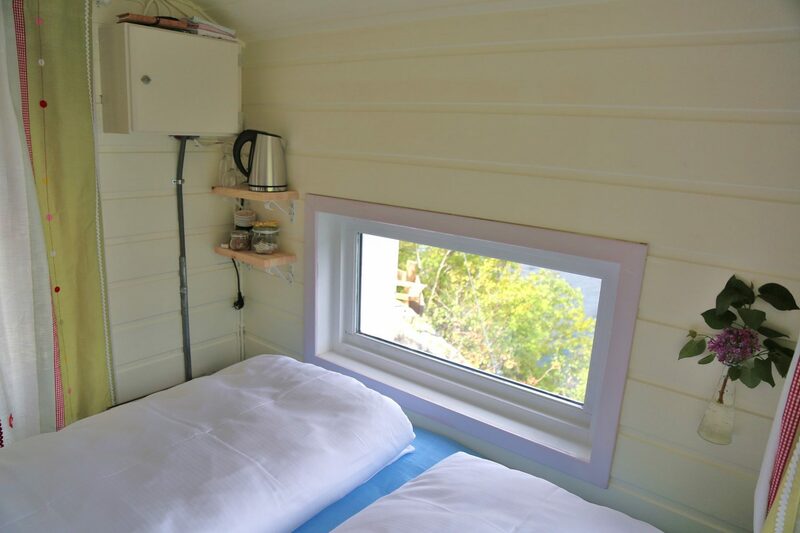 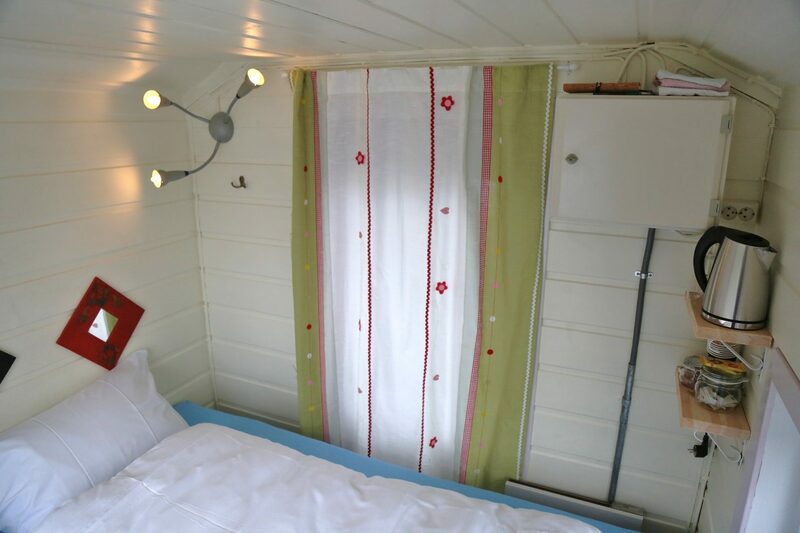 Rental of bed linen is included in the price of the Radioshed, so is your breakfast and a cold non-alcoholic surprise from the minibar. 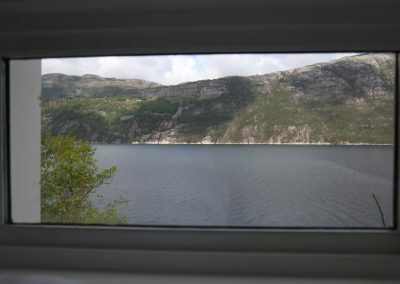 Next to the Mini-Suite is a lovely little verandah with folding chairs and a table all with this outstanding fjordview. 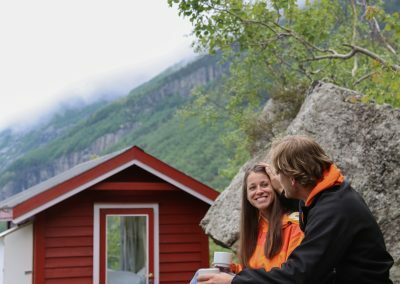 During opening hours, you can use the Power Café or the Schoolpub as a common room. 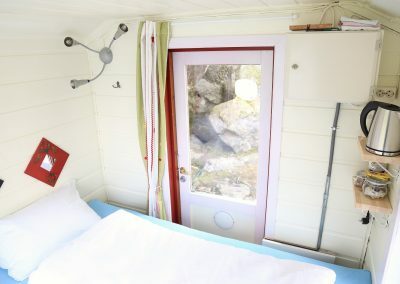 Book now, this is popular!